Choose from our comprehensive list of air tours in New York and find one that best appeals to you. Make your trip to NY extra-memorable by embarking upon one of these airplane rides in New York, and take in the most stunning aerial views! Beautiful Airplane Tours in NY! 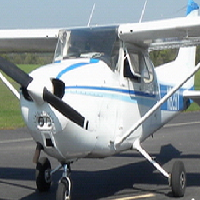 Founded in 1930, Costa Flying Service is a fully insured company that offers all sorts of cool air tours. Stare down at beautiful wineries, huge geographical landmarks, and wonderful historical sites. Scenic attractions include the world-famous Watkins Glen Grand Prix Race Course, the Glen Curtis Museum, and the National Aviation Hall of Fame. Bask in the wonder of the marvelous Finger Lakes, as well as Pennsylvania's Grand Canyon. Or celebrate special occasions over Niagara Falls! Additional services include air taxi services, banner towing for special occasions and events, and flight instruction. Check the website for coupons that will save you money on upcoming air tours. Find out why Costa is the #1 flying service in the area! Get a view of NY from a different perspective! Learn to fly while enjoying the wonderful landscape at the same time. 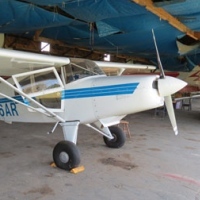 If you're looking for fun and value for your money, then come and check out why Sky Sailors offer some of the best airplane rides in NY. Some of the gliders are equipped with dual controlled joy-sticks so you can do the part of the flying. Take control of Soaring Seagull by taking a stick and feel real excitement. Attain your pilot's license and be a pilot for life! With the help of the Helicopter Flight Service you will be able to experience the New York City which everyone knows to be a wonderful place! But you will be able to experience the place at a new level! The sightseeing tours of the Helicopter Flight Service NY have opened up a new dimension of New York City and you will see a lot of great things that not everyone else is able to see. The pricing of the charters and tours vary so you better check their website if you want to know more about them and their pricing. For more information, visit their website now. 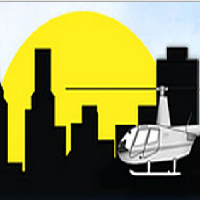 Zip Aviation is offering helicopter tours of the city of New York. The tour will provide you with spectacular views and a very unique experience. Zip Aviation NY offers you a new look at the beloved city of New York. 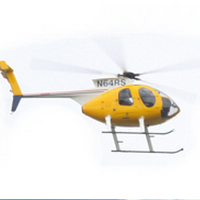 The helicopter tour of Zip Aviation will take you to a place where it is really fun and enjoyable. 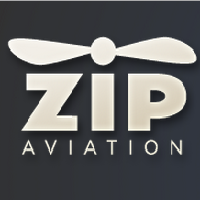 Zip Aviation aims to provide and maintain their proven customer satisfaction. They also have a great safety record. If you want to check on the information and the photos of their tours and sightseeing, you should check their website. So what are you waiting for? You should check their website now. The NYC Air Service is offering an airplane ride or tour to those who want to have a new look at New York City. Their airplane flight offers customers a spectacular view of the city and will lend you a unique touch to any special occasion. The NYC Air Service is providing services or rides which is a great way for everyone to take a look at the Big Apple. Some of the landmarks are also included on the tour; you will see them in a way you are not used to seeing them. Aside from the tours, the NYC Air Service is offering other services like learning how to fly. The NYC Air Service is also providing structured training in flying a plane. Check their website now for more information about their other services. The Rainbow Air helicopter tour is an airplane tour service provider in New York which was founded in the year 1995. Rainbow Air is located in Niagara Falls, NY. Their rides have a quiet turbine engine which will give you the most unique and the most wonderful experience during your visit to Niagara Falls. They are very proud to serve the Niagara region ever since they were established. You can consider Rainbow Air as your limousine provider in the sky. Aside from the airplane tour and rides, Rainbow Air NY has a lot of services that they are offering; these services include Charter Flights, Corporate Functions and Transportation, Power Line Patrol, Chauffeuring, Client Transportation and a lot more. Awesome Flight is a company that provides helicopter charter services such as tours and private rentals of their charters. They were established in the year 2003. Since their formation, they have been able to successfully maintain 100% safety of their flights and tours. They take pride in their world class equipment which they are using to compromise the standards of safety. Awesome Flight NY has only 3 goals with their flights and services. The first one is to be safe and to make sure the flights they offer are safe, second is to make the trip enjoyable for everyone who avails their services and lastly to be a professional and reliable flight service provider. 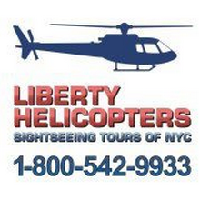 Liberty Helicopters is the most experienced and largest helicopter sightseeing and charter service in the Northeast. They have been in the business for about 25 years now and they still continue to give satisfaction to all of their customers. They were established in the year 1986. They only added tours and sightseeing services in the year 1990. They were initially a charter service provider. Since then, they have been regularly catering services to all of the people who want to see New York from a different perspective. 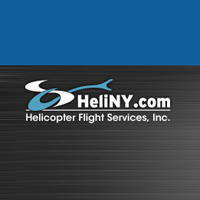 Liberty Helicopters NY has a lot of tours to offer. The prices of the tours vary depending on the type of the tour. One of their tours, The Big Apple tour, costs $150 per person. It only takes about 12 to 15 mins to tour. Manhattan Helicopters was established in the year 2006 and since then they have been giving customers satisfaction with their service. The visitors of the city of New York will enjoy the spectacular sightseeing experience being offered by Manhattan Helicopters. They are a locally owned company who takes pride in providing customers with a unique experience of scenic New York City. Whether you are a visitor, or you are a local resident, the sightseeing experience will just be a blast and give you wonderful memories. 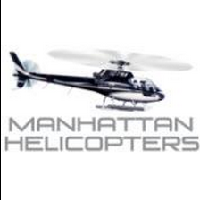 Manhattan Helicopters will give you a ride all throughout the famous landmarks in the city of New York. The prices of the sightseeing tour vary from the type and the coverage of the tour. Just check their website or call their landline to know more about them.